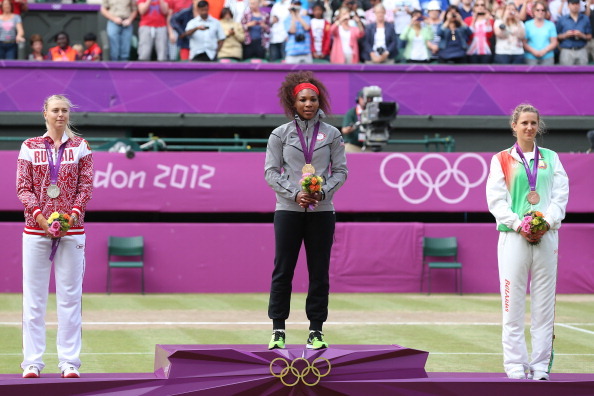 While the Women’s previous Gold medalists since the introduction of tennis to the Olympics read like a who’s who of WTA in the last 25 years, the Men’s side has a few more surprise winners including Marc Rosset, Miroslav Mecir and more recently Nicolas Massu. 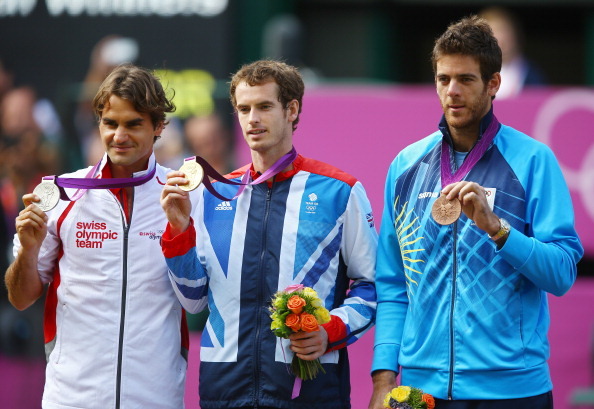 The Chilean is the only male in the modern era of Olympic tennis to have two gold medals – one in singles and one in men’s doubles. I think that Roger Federer will be very pleased with his draw here. Although his first opponent Alejandro Falla famously almost knocked out the Wimbledon champion two years ago, there is no such danger here. Federer is showing new found confidence and with nemesis Rafael Nadal out yet again, will be confident of making the Gold Medal match at least. The round 2 possibilities for Federer are at two extremes – the Frenchman Julien Benneteau, who took the first two sets against him at Wimbledon and so would have won in this format. His other potential opponent is Mikhail Youzhny, the Russian has never beat Federer and was dispatched of with ease in the quarter finals this year. His potential third round opponent is tough to pick out – big serving Gilles Muller has the chance but would get woefully exposed by the Swiss if it came to it. Spaniard Fernando Verdasco is always capable of a big match (see Madrid 2012 vs Nadal) but is often weak mentally. If Verdasco manages to beat Uzbekistan’s Denis Istomin then his record against the No.1 looks almost certain to go to Won 0 Lost 6. John Isner will be hoping to bounce back from a disappointing couple of months, where he most notably suffered early exits in both the French Open and Wimbledon. The American takes on Olivier Rochus, whom he has a 2-0 record over including victory in the final of North American grass tournament Newport last year in straight sets. Yen-hsun Lu would be his expected opponent in the second round. The Chinese Taipei player has fairly decent grass form over the years and is well known for his defeat of Andy Roddick in Wimbledon 2010 to reach the quarter finals and takes on Malek Jaziri in the first round. An intriguing tie will be that of Janko Tipsarevic vs David Nalbandian. Nalbandian has always been incredibly talented but never quite hit the heights expected of him after early promise. The pair have a 2-2 head to head but Janko Tipsarevic has got the better of the Argentinian twice this year, including at Wimbledon where the Serb won in straights. The winner of this match will take on Lukas Lacko or Philipp Petzschner in the second round. There is a 16 inch height difference between John Isner and his Round 1 opponent Olivier Rochus – 6ft9 to 5ft5. Without Nadal, David Ferrer is bumped up to a top 4 seeding and as such this seems the one quarter that perhaps is more expected to produce a surprise Semi Finalist. The section contains a fair amount of incredibly talented players but without the consistency that has saw Ferrer make the top 5 in the rankings. Wimbledon 2012 quarter-finalist Philipp Kohlschreiber is one such player, but the fact that he is currently still in Kitzbuhel, Austria as a type cannot be a great preparation for this tournament – especially since he is playing a clay court tournament! Nikolay Davydenko will do well to defeat Radek Stepanek in the first round, the Russian has only made the second week at Wimbledon once and generally struggles on grass. Kei Nishikori-Bernard Tomic is probably the pick of the ties in this section, two highly rated players who have the game to trouble the top 10. Nishikori showed this last year in his run in that took him into the top 25 while 19 year old Tomic memorably made the quarter finals at SW19 last year. Since his controversial comments regarding equal pay, Gilles Simon seems to be suffer a bit of a dip in form. The Frenchman exited in the second round of each of his last three tournaments including Queens and Wimbledon in matches he would be expected to win. Mikhail Kukushkin shouldn’t pose enough to threaten him but in the second round awaits a potential meeting with Grigor Dimitrov. The Bulgarian has always been highly rated but like most young players failed to remain consistent enough. However recently, Dimitrov has kept his good form going for longer than usual – making the semi final in three of his last 4 tournaments and having to withdraw at Wimbledon due to injury. In this form, he is a darkhorse for a medal and in this section of the draw has a decent chance of making the medal match if all goes right for him. Andreas Seppi should progress easily against an incredibly out-of-form Donald Young and the same applies for Juan Martin Del Potro, who should have too much power for the Croatian Ivan Dodig. Donald Young is on a 13 match losing streak, having only picked up two wins this year and being defeated seventeen times. David Ferrer does not have a losing head to head against anyone of his potential opponents from the first round to the third. After suffering an embarrassing first round straight sets defeat at Wimbledon to Ernests Gulbis, Tomas Berdych will be keen to redeem himself. The one time finalist is still a very good grass court player and should have no trouble with Steve Darcis. Ryan Harrison showed plenty of promise in his defeat at Wimbledon to Novak Djokovic, and really should have took a set if it wasn’t for disapponting play on break points. His match with Santiago Giraldo should be interesting, the Colombian is on decent form but was dispatched of by Milos Raonic at Wimbledon – finding it hard to break the Canadian’s big serve. Since his change of nationality to Russian Alex Bogomolov has been struggling a lot, trying to deal with the expectations of what seems to now have been a year of overachievement than progress in 2011. Carlos Berlocq is a clay courter for the most part but may feel he has a good chance to progress to the second round here against Bogomolov. Nicolas Almagro is another who prefers the clay, but has had good grass court results in his rare forays on to the surface including victories over John Isner and Olivier Rochus. He holds a 2-0 head to head record over Viktor Troicki, who has the better grass results but may still not have enough to beat the Spaniard. A potential third round meeting should be tasty between Almagro and Berdych – they had a falling out when Almagro played a shot to pass Berdych at the net by hitting it right in his direct and the Czech felt it was being aimed at him. Much like Philipp Kohlschreiber, Robin Haase is another currently in Kitzbuhel as he gears up for the final of the clay court tournament. Again, this won’t be ideal for the Dutchman though winning and added confidence can’t be a problem! He faces a tough first round tie against Richard Gasquet who will have his eyes set on a third round tie and revenge against Andy Murray in France last month. Gasquet controlled large parts of the match early only to buckle under the pressure of Murray’s injury doubts to lose in four sets. Murray probably has the hardest tie of the lot, drawing Stanislas Wawrinka in the first round. Murray’s most famous matches with the Swiss No.2 are his five set epic under the roof at Wimbledon where he prevailed, and his disappointing defeat in the US Open third round. If Murray makes it past the Swiss he should be fairly confident of making it to the rematch with the Frenchman, potential opponents are either a returning from injury Somdev Devvarman 0r Jarkko Niemenen – who also didn’t deal well with the pressure the possible Murray injury put him under. Marcos Baghdatis could give Gasquet or Haase problems if he makes the second round, the Cypriot loves the big occasion and has taken sets from Murray and Djokovic in recent Wimbledons. Another of the in-form clay courters around at the moment is Thomaz Bellucci, who just took the title in Gstaad, he faces Jo-Wilfried Tsonga in the first round. Bellucci only played once and lost in straight sets to Rafael Nadal, but really should have took at least one set considering he held a double break in the first! Milos Raonic is the likely Round 2 opponent for the winner, the Canadian’s big serve should be enough to see off Japan’s Tatsuma Ito but against more experienced players his movement has been found a little wanting and needs to improve if he wants to go deep here. Expect tiebreaks in the Feliciano Lopez/Dmitry Tursunov match – both are traditional grass courters with big serves. The winner will face either David Goffin or Juan Monaco in what promises to be an intriguing tie. Monaco has always preferred the clay courts too, but will be high on confidence after breaking into the top 10 this month. Goffin showed a lot of promise at Wimbledon, defeating Bernard Tomic amongst others and is definitely one to watch. Novak Djokovic opens his account with a tie against Italy’s Fabio Fognini. Some believe that the Serb’s momentum was killed slightly when Fognini withdrew from their quarter final match at the French Open and left Djokovic without a match for longer than he really wanted to. Djokovic should deal with him fairly easily. A potential second round with a revitalised Andy Roddick could make for a cracker in the three set format. Roddick has won two titles in the past 2 months (Eastbourne, Atlanta) and dominated David Ferrer for a set and a half before running out of steam. His opponent, Martin Klizan, comes off a decent run in Kitzbuhel but shouldn’t trouble Roddick too much here even if he plays poorly. Another former Wimbledon champion in Lleyton Hewitt has been handed a wildcard to the tournament and showed good form in Newport to make the final where he lost to John Isner. He takes on Sergei Stakhovsky who appears to be dealing with a number of injuries having retired twice over the grass court season. Another in-form player in Marin Cilic heads this part of the draw, the Croatian picked up the Umag title this month and looked impressive at Wimbledon including taking a 5 set 5 hour epic against the American Sam Querrey. He faces Jurgen Melzer who departed disappointingly to Lukas Lacko in Round 2 at Wimbledon. The Second and Third Round’s in this quarter could see a match between two former world No.1’s – Novak Djokovic, Lleyton Hewitt and Andy Roddick all lie in this section. In defeating Roger Federer last year at Wimbledon from two sets down, Jo-Wilfried Tsonga managed to end an 178-0 streak the Swiss held when leading 2-0 in a match. Who do you think will go well in the Mens side of the draw? Who can cause a shock? Let me know in the comments below! Following the conclusion of the Shanghai Masters, Andy Murray will rise to number three in the world after taking the title in China as part of his immense end-of-season form. The Brit has now won three consecutive titles to surpass Roger Federer as the world’s third best player. It’s the first time Federer has been outside the top three since winning Wimbledon in 2003. If Murray can build on that and finish the year-end rankings at No.3 then it could be hugely significant for the future of men’s tennis. Federer is clearly in decline having not won a Grand Slam title since the 2010 Australian Open and the chances of him adding to his 16-strong tally are getting exceedingly unlikely at the age of 30. For 24-year-old Murray, he is now in a very strong position. Should he make the third spot his own, his opponent in any future Grand Slam semi-final will most likely turn out to be Novak Djokovic. 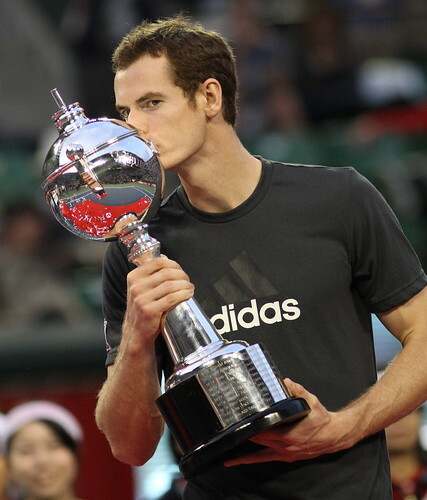 Though playing the current world number one sounds daunting Murray has had a decent record over the Serb in the past. Djokovic was something of a surprise package this year having only won two majors in his career before 2011 to now holding three of the four. That surprise element won’t be at his disposal next year and Murray can learn from Djokovic’s ability to convert a No.3 spot in the world to the top during the winter break. The ultimatum of winning a major is still a great one with Djokovic’s currently unstoppable form and Rafael Nadal waiting in the wings but at least the greatest player of all time looks to be going in the opposite direction to help him out. Elsewhere in Shanghai, there was a great run from Japan’s Kei Nishikori – a player Ace of Baseline has been tracking all year. The 21-year-old reached his first Masters semi-final after wins over Jo-Wilfried Tsonga and Alexandr Dolgopolov before being beaten by Murray. Nishikori will now become the highest ranked male Japanese player of all time beating Shuzo Matsuoka’s record of No.46 which he’d already equalled. He’s now expected to be just outside the top 30. Another player who’s enjoyed success this year is Bernard Tomic who defeated the second top 10 player of his career when he took out Mardy Fish in the second round. Ryan Harrison lost at the same stage to Matthew Ebden having beaten Viktor Troicki in the previous round.